We have used external review panels to strengthen our sustainability reporting since 2005. 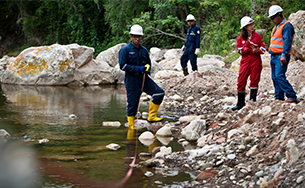 They help us evaluate and improve the quality and credibility of our Sustainability Report. The panel provided input as part of our content selection process and reviewed the report in depth before preparing their statement focusing on the quality of the report. The panel met to discuss Shell’s reporting, question Shell experts and prepare their statement. The 2018 panel’s mandate focused on the quality – including the credibility, completeness and responsiveness – of Shell’s reporting. Read below some of the feedback given in the 2017 report by the expert reviewers, and our response (see table). Strategic focus: Provide greater emphasis on the ways in which Shell’s sustainability efforts strengthen its core businesses. In the 2018 report, you can read more about our approach to sustainability – running a responsible business, shaping a sustainable energy future and making a positive contribution to society – explained through more in-depth case studies on key business decisions (see Special reports). See also Our business strategy. Detailed disclosure of social issues: Articulate more fully how Shell is contributing to the UN’s sustainable development goals (SDGs). Provide more clarity on the interconnectedness between social and environmental issues. Provide more detail on diversity and inclusion. Shell’s approach to the SDGs has been further refined in 2018, with the focus now on the three goals where we believe we can make the largest contribution. Information about human rights has been expanded and includes more information on our approach to diversity and inclusion. We also showcase our efforts to encourage more women to study science, technology, engineering and mathematics. Shell’s gender balance is included in Our people and information is provided about our diversity and inclusion initiatives. We have also included more about our approach to social and environmental aspects in some recent case studies (see Special reports). Water: Provide more information on Shell’s water use and approach to water management. Information about water has been expanded. A new graph and infographic have been added to the report to show the use of recycled and fresh water, and case studies included to show water management in practice (see Water use). Focus areas: Provide fewer but more in-depth case studies. Show greater alignment between the report and Shell’s strategic priorities. You can read new in-depth case studies in the Special reports section. We have also increased links within the report to direct readers to relevant strategic and commercial content, including on www.shell.com. Balance: Provide more balanced content which includes challenging experiences and lessons learned. Case studies and commentary have been carefully appraised to provide balanced reporting and lessons learned, with further content available on www.shell.com. Diversity of third-party comments: Diversify external opinions to provide greater constructive criticism. The number of external voices in the report has been increased to provide a more diverse range of views. Commentary on performance: Include more context and explanation for the performance data included in the report. You can find information on the factors that influence our performance, including relevant graphs, within the safety, environment and social performance sections. The digital structure of the report has been updated and menus enhanced to improve the visibility of key topics. More links have been included to relevant content, both within the report and on www.shell.com. 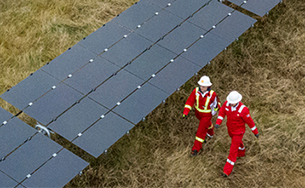 "We commend Shell on its continued commitment to transparency and progress on its most material sustainability impacts. We have had the opportunity to review two drafts of the 2018 Sustainability Report and provide feedback to Shell through conference calls and in writing. Shell has responded to our questions and suggestions. We have developed this statement independently following our review. We appreciate the opportunity to provide feedback and recommendations for further improving Shell’s sustainability reporting. In line with the scope of our review, our feedback focuses on the quality of Shell’s sustainability reporting rather than its sustainability performance. We are pleased to see many of our recommendations on the 2017 Sustainability Report reflected in this report. For example, Shell has elevated its disclosure on social issues with a more comprehensive human rights section that brings together updates on its human rights priorities. 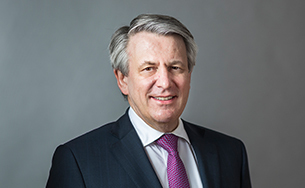 Similarly, Shell included more information on its approach to the UN's sustainable development goals, although there remains an opportunity for the company to use the goals to more clearly frame strategic priorities, such as increasing access to electricity and to connect related steps Shell is taking to meet its objectives. Independent comments from external stakeholders throughout this report provide a more balanced view of Shell’s strengths and challenges. We are encouraged by the expanded information about Shell’s approach to managing water risk and would like to see additional disclosure of targets and other measures Shell uses to minimise risks of adverse impacts at the project level. The inclusion of Shell’s approach to plastics in this report is equally important. For the next report, we see an opportunity to discuss Shell’s role in addressing the global challenge of ocean plastics. We welcome Shell’s continuing efforts to disclose its approach to public policy issues as we see responsible engagement as a key sustainability priority for the energy sector. Building on its experience and leadership in sustainability reporting, we believe that for 2019, Shell has an opportunity for a transformative evolution of its approach to sustainability reporting. While the wide range of topics covered in detail shows leadership in sustainability reporting, this comprehensiveness also presents challenges: for readers to focus on content most relevant to them and for the company to articulate its strategic priorities and the measurement of progress against them in the most effective way. In the future, Shell could focus on integrating its strategic priorities under a clearly articulated sustainability strategy. This would also allow Shell to produce a more succinct report with the opportunity for more in-depth discussions and precise reporting on progress on strategic priorities. We would like to thank Shell for the opportunity to share our feedback here and throughout the drafting process and we look forward to the next evolution in Shell’s sustainability reporting."